“BeiDou plus” recently became a focus at the Fourth China Satellite Navigation and Location Services Annual Exhibition, held in the Beijing National Convention Center. “BeiDou plus” means “space-time information plus” and “location service plus”. The concept is based on the country’s BeiDou technology, integrated with mobile telecommunication and the Internet. Zhou Ruxin, president of the BD Star Navigation Corporation, said that the “BeiDou plus” includes three add-on directions, which are technology, industry, and scale. As BeiDou industry has unique features such as high integration， the technology will be used in many industries. The National Administration of Surveying, Mapping, and Geographic Information is dedicated to promoting the industrial use of BeiDou technology. 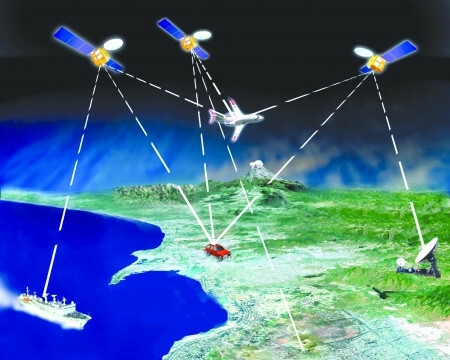 The department supported the satellite navigation and location service industries with preferential policies, financial support, and monitoring. With such efforts, the technology has covered the entire satellite navigation and location service system in the country. Started by the China Satellite Navigation Association, an event to promote BeiDou technology in a hundred cities has been included in the national strategy. As the first step, the BeiDou Delicate Service Network constructed service stations in ten cities and has been widely used in management of gas pipelines. A director of the National Administration of Surveying, Mapping, and Geographic Information explained that Xinao Energy Corporation and Beijing Gas Pipeline Group has started to construct service stations using BeiDou technology and connected to the national network. The BeiDou system has been used in each link of gas pipeline management. Targeting the gas pipeline industry, BeiDou has been used in management, monitoring, repair, evaluation, and construction. The technology greatly improved industry standards and laid a solid foundation for the security of urban gas pipelines. In addition, BeiDou also launched demonstrative projects in elderly care, smart city, smart transportation, driver tests, bridge monitoring, and childcare. Sun Jiadong, scholar of the Chinese Academy of Science and the director of the China Location Network Service Association thought highly of BeiDou technology’s future. The China Satellite Navigation and Location Association released its industrial report in 2014. The industry experienced rapid growth last year, with total production value reaching 134.3 billion yuan ($21.14 billion), 29.1 percent more than 2013. The application of BeiDou technology has further increased. More than 80 percent of navigation products use BeiDou technology. It has been 15 years since BeiDou launched its first satellite in 2000. Another 18 satellites have since been launched. The BeiDou Technology is entering the new progress of covering the entire world. The application and the promotion of industrial use of BeiDou technology faces new challenges and embraces the best development opportunities at the same time, said Sun.